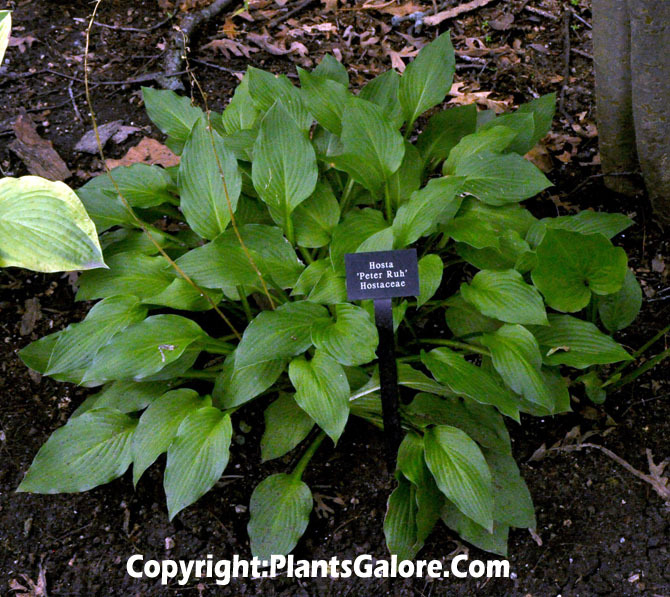 A reversed tissue culture sport of H. 'Paul's Glory', this hosta was registered by Mark Zilis of Illinois and Q&Z Nursery in 1999. It forms a large size (24 inches high) mound that has gold margins and green centered foliage. The flowers are pale lavender and appear from mid-July into August. 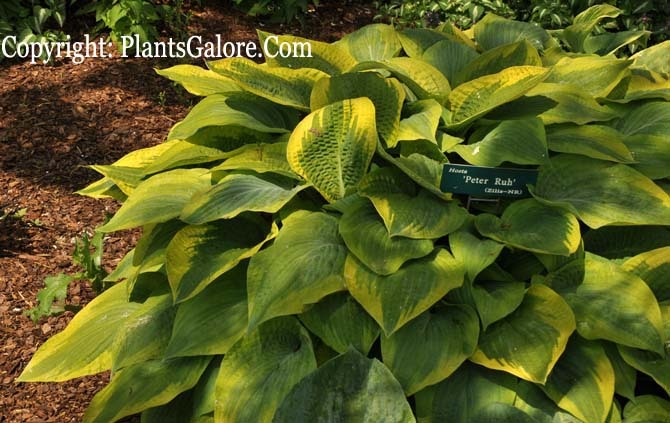 According to The Hostapedia by Mark Zilis (2009), "I named this cultivar to honor my good friend, Peter Ruh of Ohio, who has long been a leader in the world of hostas.". Similar cultivars include H. 'Glory Hallelujah'.